I was privileged to get to know Jennifer Mason-Black when her novella Phoenix was published. Now she's with Amulet Books and celebrating the upcoming release of her novel Devil and the Bluebird, which, besides loving the title, sounds like a very unique story. 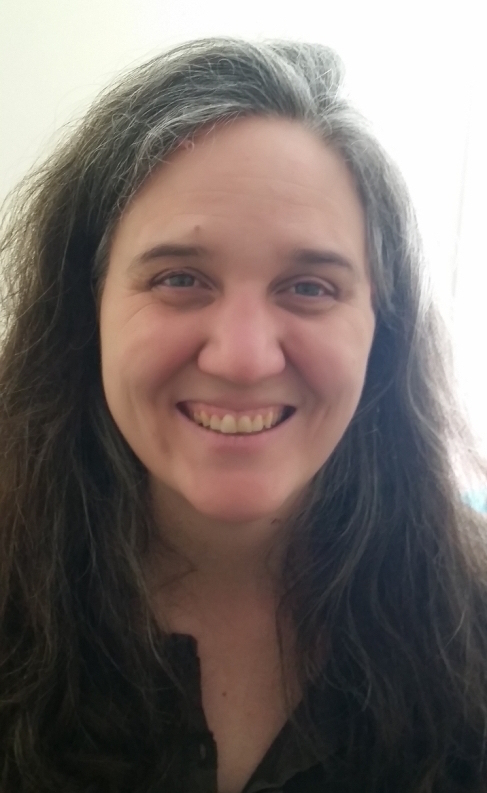 Jennifer shares with us today her fresh insight into the eternal writer division between the pantsers and the plotters. 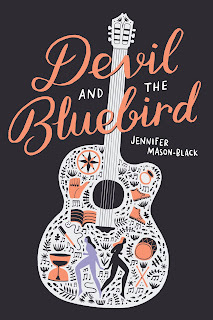 Be sure to check Devil and the Bluebird out at the end of her post. Invariably, discussions of craft center on these sorts of questions. Pantser or plotter? Write everyday, or as the spirit moves you? Revise as you go, or revise at the end, or no revision at all? When you are new to swimming in the sea of words, you want to know what a life raft looks like and how you can climb on board, because the thought of just swimming out in any direction, all on your own, is terrifying. But the truth is that swimming out in our own way is exactly what we have to do. Face it: a world of stories all written in the same lifeboat would be one of terrible and crushing sameness. Which is not to say that questions of how you write are not worthy of endless discussion. They are, absolutely. The piece that we tend to shortchange, though, is how who we are affects those questions of how we write. I have a few confessions. I am the pantsiest of pantsers. In the sea of words, I am the person who strips down on the beach, runs off into the water, swims to some distant point, and suddenly remembers that I wasn’t supposed to go over my head. I sometimes go for weeks without writing. I don’t finish everything I start. To swap comparisons, if we simplified the traits of writers to the dichotomy of The Odd Couple, I would be Oscar times ten. All of this means that when the conversation swings round to professional writing—to outlines and word goals and Scrivner vs. Word—I frequently feel like a failure. I’m in my corner with a stack of unwashed plates and a heap of half smoked cigars, or I’m treading water in the middle of nowhere (see, a pro wouldn’t have gotten herself tangled up in two completely unrelated metaphors), and how I write seems second rate compared to how other people do. Wait a minute, though. I’m not actually a failure. I have an agent. I have a novel coming out in May. I have a dozen published short stories. I’ve produced a lot of words on the page in the years that I’ve been writing, many of them in grammatically appropriate structures. I may be Oscar at the beach, but something about my approach is working. Let’s take a step back and think about how my whos fit with my hows. I write character driven fiction for the most part. When I start work on a story, I typically know the inciting event, a point or two along the plot trail, and where things should end. I frequently overwrite; my files are full of scenes that no one else will ever see, scenes where my characters talk over meals, or wrestle, or fly kites. In terms of getting my story from point A to point Z, those vignettes are wasted time. In terms of understanding my characters, they’re priceless. There are other writers who can achieve the same results with a careful outline, but their minds work differently than mine. Which is what we want, right? A diversity of minds free to create a multitude of worlds? There’s another big piece of the puzzle that’s missing here. Time. This sit-in-the-garden-and-daydream approach is not a time-efficient one. It suggests that I haven’t been writing on deadline, haven’t been juggling multiple jobs. For me to insist my process is superior to another would display a lack of understanding of my own privilege around time and space. In our rush to find ways of writing that work, we all too often leave for us out of the equation. For someone blessed with confidence, hearing that pantsers are sloppy or plotters are dull can be nothing more than background noise. But we writers are not, by and large, a confident folk. We hear that the way we do things is wrong, and we take it to heart. Sometimes it shakes us up and puts us on a new path. Sometimes it makes us quit. Do you know why it works for you? Are you improving as a writer? Are you okay with the idea that what works may need to change from year to year, from project to project? If the answers to all are yes, then the next time you enter into a conversation about the craft of writing, and someone firmly states that true art can never be attained by someone writing in a bathrobe, listen to their reasoning. Think about why you write in your bathrobe. Consider whether writing in a smoking jacket might, in fact, bring something new to your writing. And if the answer is no? Just smile and remember that that the sea of words is vast, and can be swum in many ways. The point is to be in it, not to pause on the shore, despair over your flawed breaststroke, and then walk away. Jennifer is a lifelong fan of most anything with words. She’s checked for portals in every closet she’s ever encountered, and has never sat beneath the stars without watching for UFOs. Her stories have appeared in The Sun, Strange Horizons, and Daily Science Fiction, among others. DEVIL AND THE BLUEBIRD is her first novel. She lives in Massachusetts. I am a pantser at heart so of course, I loved this! Especially the part about all the parts we write that never make it into the actual story. "In terms of getting my story from point A to point Z, those vignettes are wasted time. In terms of understanding my characters, they’re priceless." So true!